Land Destroyer: Egypt's ElBaradei: Con-man in Chief? 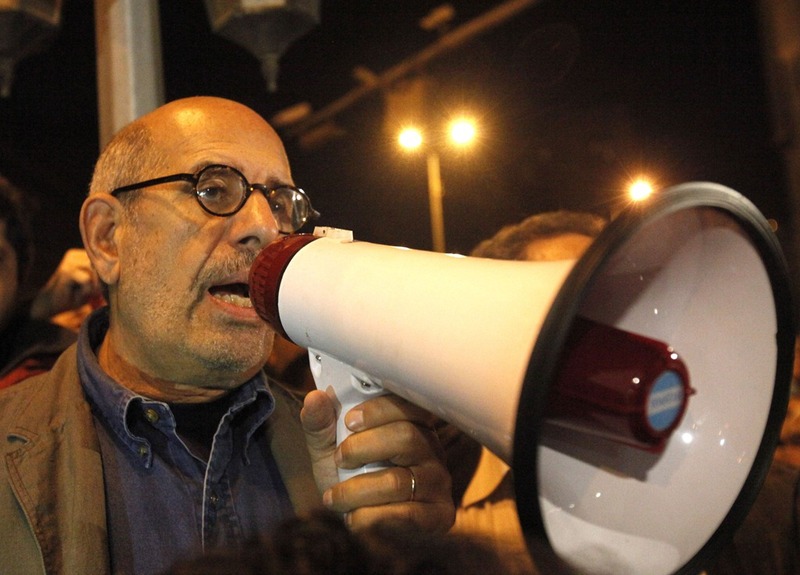 Egypt's ElBaradei: Con-man in Chief? 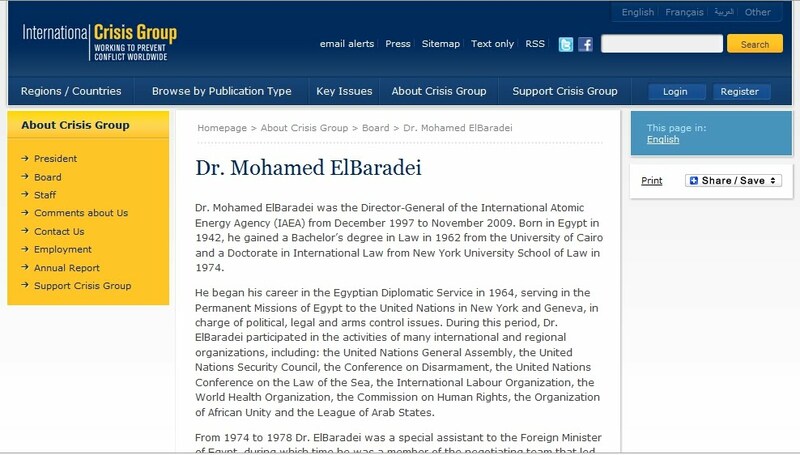 Globalist stooge ElBaradei is prying his way into the presidency. 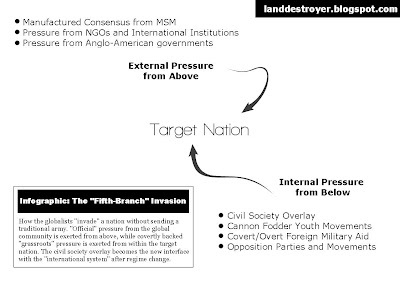 International Crisis Group alongside George Soros and Zbigniew Brzezinski. Mohamed ElBaradei has recently announced he will be running for president in a move that should surprise no one. For nearly a year the corporate owned media has been building up ElBaradei, portraying him as the great hope for Egypt. Foreign Affairs magazine, in March 2010, literally printed an article titled, "Is ElBaradei Egypt's Hero?" With Mubarak now out of office the corporate owned media circus has left town, but the globalist take-over in Egypt is just warming up. US International Crisis Group trustee Mohamed ElBaradei has spent over a year prying his way into Egyptian politics, landing in Cairo not at the beginning of the recent unrest, but all the way back in February 2010. He was met by the US State Department trained and supported April 6 Youth Movement and Google executive Wael Ghonim. 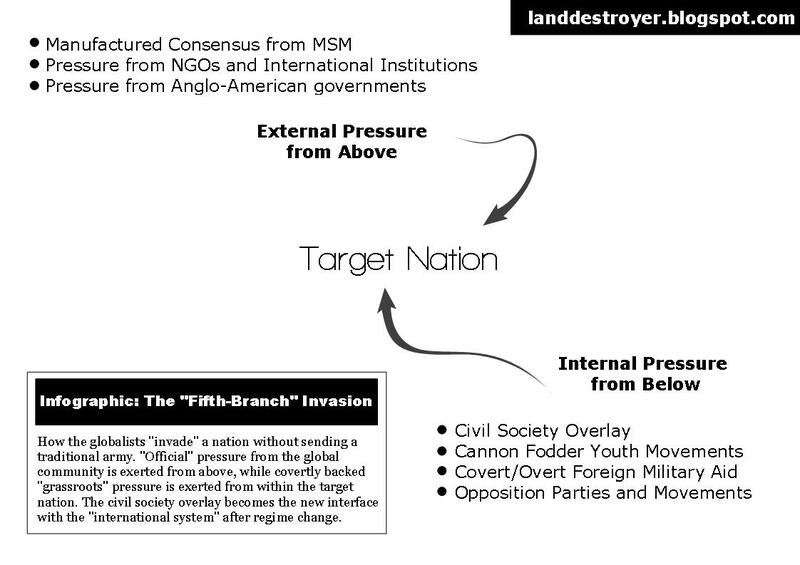 Over the next year they campaigned together for the November 2010 elections, built up the "National Front for Change," and prepared for the protests the globalists had been designing since at least 2008.
on a board of trustees amongst the very men making such policy. With Egyptian President Hosni Mubarak ousted from power, indeed the US is now unabashed about their support for the opposition. Hillary Clinton recently admited to providing funding to tech firms directly supporting protesters in Egypt, Tunisia, and beyond. The US is also now preparing to fund Egyptian opposition groups ahead of upcoming elections while George Soros and the "Neo-Con" packed National Endowment for Democracy (NED) are funding Egyptian based NGOs drafting the new Egyptian constitution. Recent efforts to amend the current Egyptian constitution are falling flat with the US-backed opposition, including the NED funded Egyptian Organization for Human Rights which would like to see the entire document scrapped. The Washington Post reports: "The constitution as we know it now is very faulty," said Ghadar Sharbander, a board member of the Egyptian Organization for Human Rights. "We consider this constitution not valid. And therefore there is no reason to amend it - it needs a complete rewrite." How to install a servile stooge government. Indeed, this "revolution" was never about removing a dictator or reforming Egypt, it was about erasing an entire civilization and replacing it with the homogeneous global civil society model, which in turn, will interface with the various global institutions. Understandably, the opposition can only get away with this poorly dressed facade for so long. ElBaradei is already sweating over a possible counter-revolution, suggesting somewhat undemocratically, that only the opposition's constitutional amendments and roadmap can lead to a "real democratic system in Egypt." He also suggests the immediate arrest and prosecution of Mubarak's remaining political party. Most likely though, any opposition to ElBaradei will be labeled "pro-Mubarak" and dealt with in such a similar and very "undemocratic" manner. So much for the "Arab Spring." It appears a new chapter in servile obedience to the West has been opened and the face Egyptians will be looking at for the next 30 years will be that of ElBaradei and the steady stream of feckless, servile stooges that follow in his meager footprints.